Amazon's Treasure Trucks hawk everything from GoPros to poke bowls and Harry Potter books. 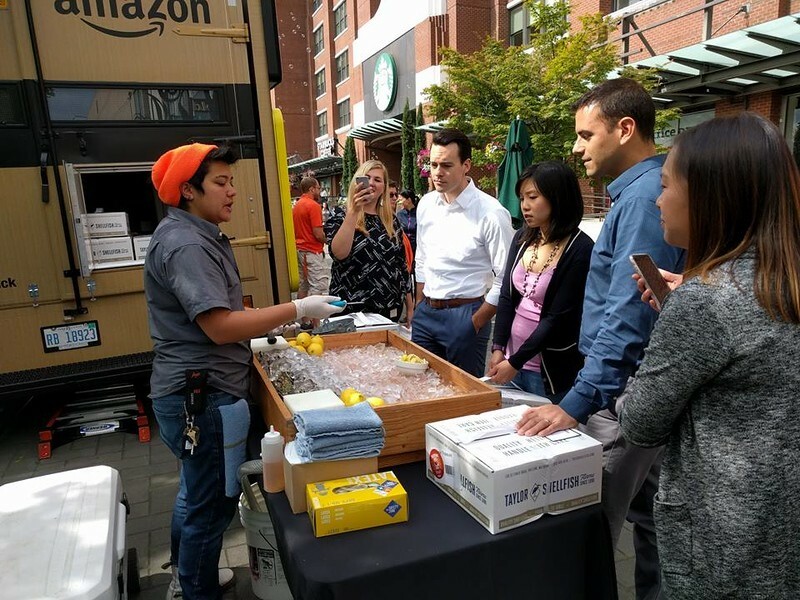 Amazon has devised all kinds of ways to take their digital experience into physical spaces. Their latest venture, the Treasure Truck, is now popping up in select cities across the country and you’ll need to digitally log on to plug into this cerebral analog experience. In February of 2016, a funky Isuzu cab-over truck decorated with a big top circus theme rolled out into a Seattle neighborhood selling just one item. The item was a heavily discounted GoPro Hero 4 camera that sold out in short notice. Amazon’s Treasure Truck is an adult version of an ice cream truck, seemingly popping up out of nowhere to leverage a limited time only that’s here today and gone within… an hour. The company began experimenting with its new Treasure Truck all over Seattle popping up in a location, alerting followers as to its destination and selling one curated and heavily-discounted item until the day’s bounty was sold out. Past offerings have sold oysters, steaks, Dungeness crab, Polaroid cameras, flat screen tvs, headphones and even Star Wars toys. Some Treasure Truck experiences even include live music, pumpkin carvings, free candy and even celebrity appearances. 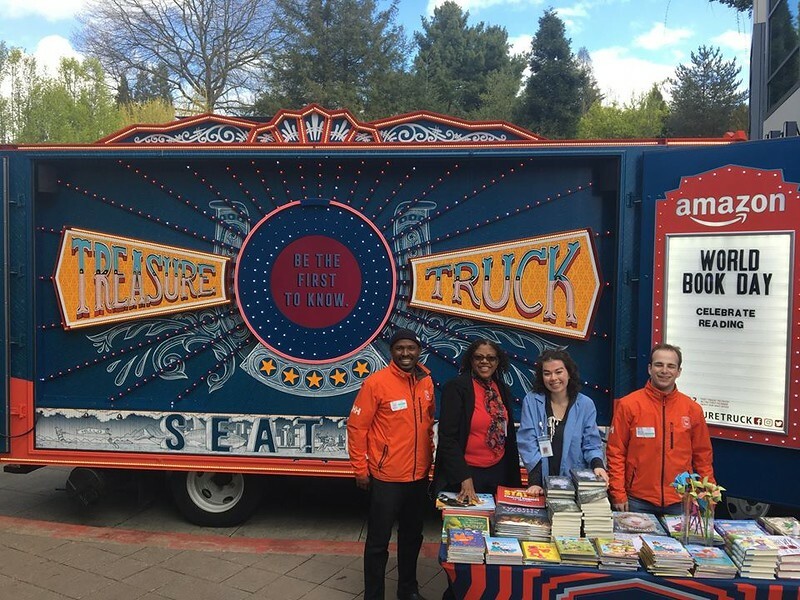 With a year of testing the concept, and now a patented truck design, Amazon is rolling out a fleet of Treasure Trucks across the country. Up to two dozen cities will be hosting their own permanent(ish) Treasure Truck. The catch is of course, that you won’t know where or when they’ll pop up. You’ll have to log into the Amazon app (‘Treasure Truck’ under the ‘Programs and Features’ link under the main menu), follow on Twitter (@treasuretruck) or text ‘TRUCK’ to 24193 to receive notifications on your smartphone. To further skew the lines between where Amazon’s digital footprint begins and ends, customers pay for their item via the Amazon app and pick up the product at the truck.